Electronic prescription ordering and refills over Surescripts network. 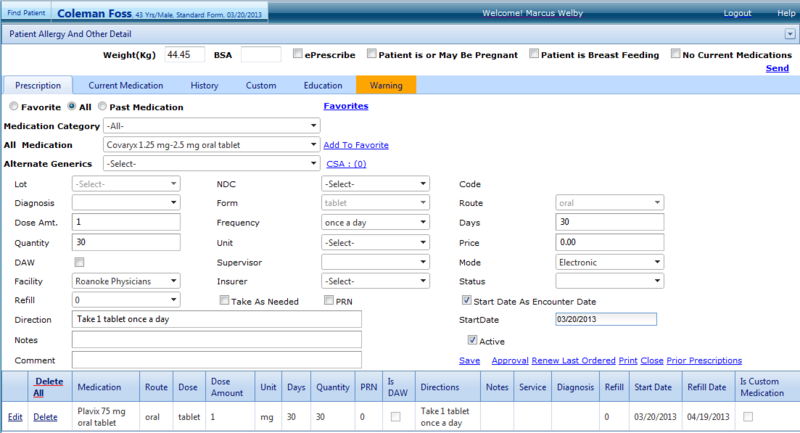 Search based on diagnosis, name, favorites, past usage, and past prescribed for the patient. Enter and save current medications used by the patient.